Discover the ancient cities, thousands of temples, and jungle-swarmed islands of southeast Asia on Myanmar tours. You’ll never want to leave this nation that’s home to the Shan Mountains, Dotthawaddy River, and quaint villages. Discover the ancient cities, thousands of temples, and jungle-swarmed islands of southeast Asia on Myanmar tours. He was very flexible accommodating my requests. Responded my inquiries promptly always. 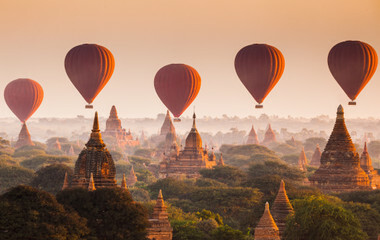 He even prepaid my balloon ride cost for me since I added this..."
Three thousand monks, 8,000 Buddhist statues, and a million adventures are sewn into the exciting Myanmar tours. This nation is a key destination spot for those wanting to immerse themselves in the culture and scenery of southeast Asia. 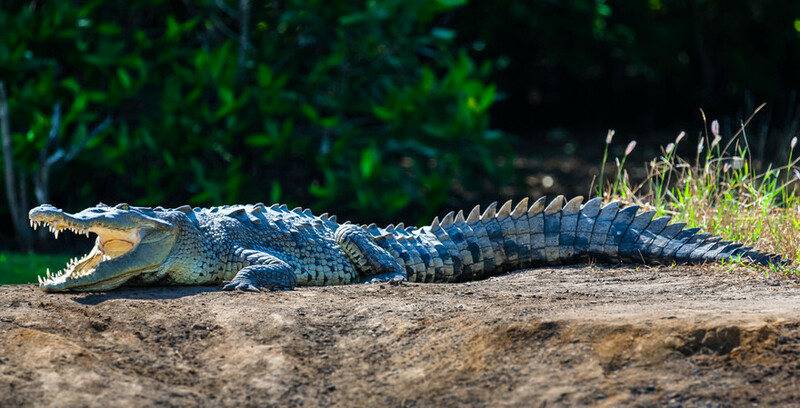 Take a hike to the Phowintaung, where 947 caves are ornamented by Buddha statues and paintings on the walls, go wading at the island beaches of Kawthaung, or photograph the floating gardens at the Inle lake. You will discover the pagodas of ancient cities and temples on your Myanmar holiday. You’ll find peace in this spiritual country in the light of sunsets on the Irrawaddy River. Myanmar is a beautiful nation to explore with families and friends. Start your trip to Myanmar in the golden city of Yangon where the ‘floating’ Kyaik Hmaw Won Yele Pagoda can be seen glittering night or day. Take a tour around the former capital of Myanmar and gaze at the clash of historical and modern buildings like British colonial mansions, modern business buildings, and many of the world’s most famous pagodas. 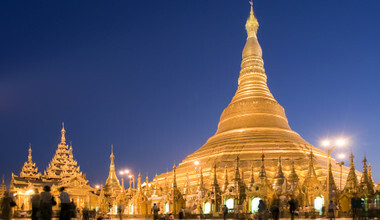 You’ll visit the Chaukhtatgyi Pagoda, the Sule Pagoda, and the Shwedagon Pagoda, or better known as the Great Dagon Pagoda. 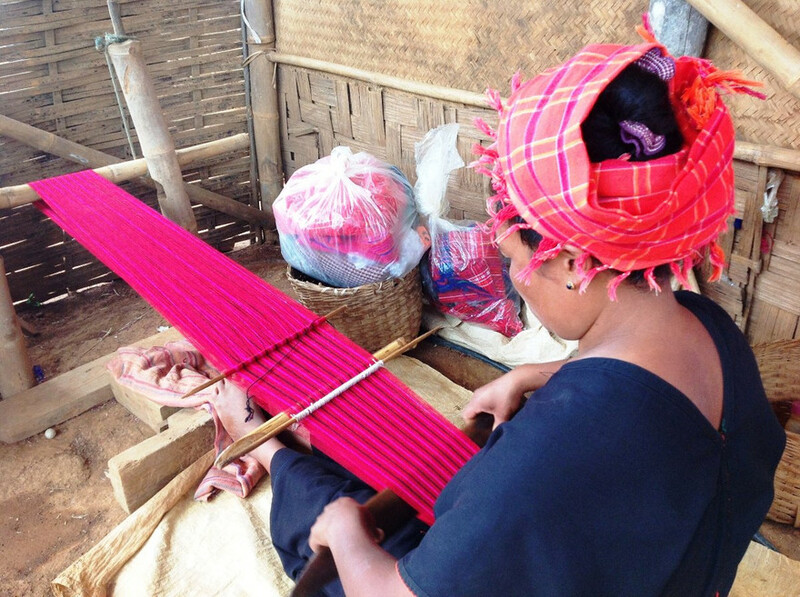 While marveling at the great city, make your way to the Scott Market and pick up some Burmese handicraft souvenirs for yourself and others back home. Later, break away from Yangon and venture down the Irrawaddy River to discover the Sagaing Hills, which is called ‘home’ by 3,000 monks and is a place for 100 meditation centers. 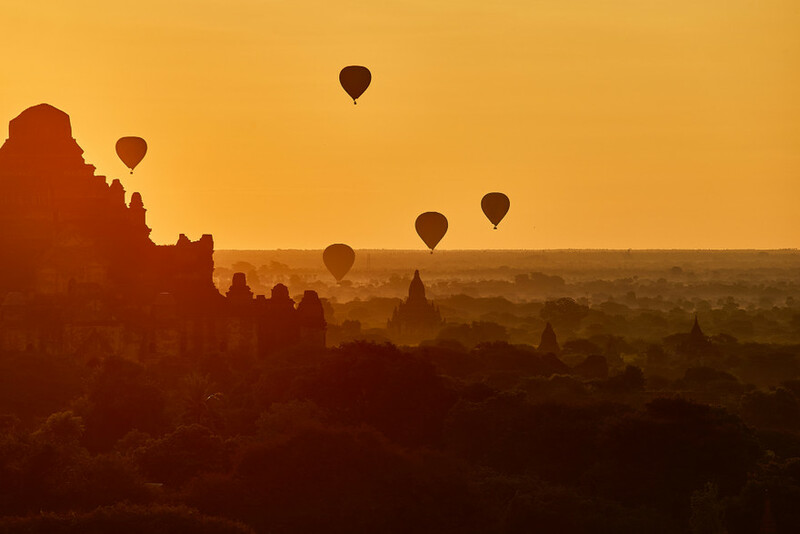 Tour the deserted ancient city of Bagan, where you can see over 2,000 temples and pagodas. Weave in and out of these historic temples and see iconic spots like the Shwezigon Pagoda or the Ananda Temple, which was built in 1091. 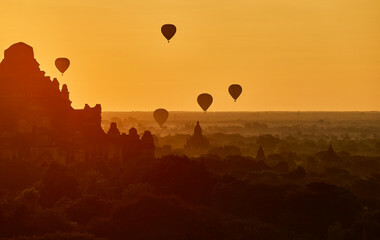 While exploring this city by foot is an incredible feature, take a hot air balloon ride over it too to give you a new perspective of the ancient splendor. 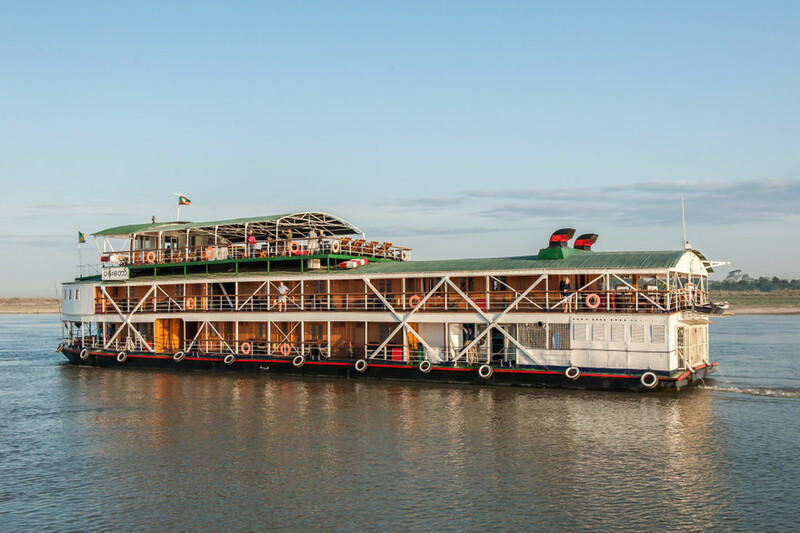 Throughout this trip, you’ll drift on a boat down different Myanmar rivers and in lakes like the Dotthawaddy River or the Inle Lake where gardens and villages have been built on stilts to float above the water. You’ll travel by car to the abandoned Buddhist Phowintaung where there are 947 caves decorated with Buddha statues and intricate murals on the walls. These caves have been dated to as early as the 14th century. Also, visit the colorfully ornamented Pindaya caves, which are just as – if not more – impressive than Phowintaung. There you will see pagodas standing tall on a hillside and more than 8,000 Buddha statues crammed into the caves. Hundreds of other iconic ancient sites are waiting to be seen by visitors as well like the Mrauk U, which is home to the Koe-Thaung, Shite-Thaung, and Andaw Thein temples. However, some of the most remarkable sites to see in Myanmar are found when traveling by foot. 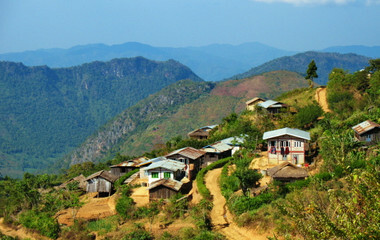 Customize your trip to Myanmar to trek through the hills and villages of the picturesque country. 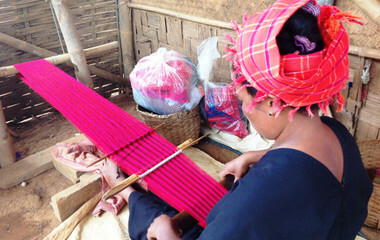 Learn about the traditions and lifestyles of the people in remote areas on a three-day trek to the beautiful Inle Lake. Photograph the magnificent misty Shan Mountains as the golden sunsets, and sleep in a Pa Du Pauk village. 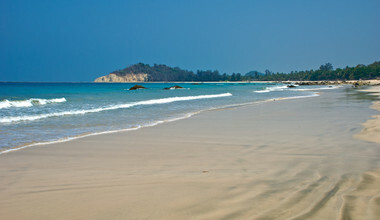 Later, take a full day wading in island waters and trailing through rain forests at the Kawthaung and Macleod islands. Open your eyes for a snorkeling tour to see the aquatic creatures swimming next to you. Count the number of exotic birds in the jungles and greet the local villagers. Find yourself at peace in the serenely beautiful nation of Myanmar. 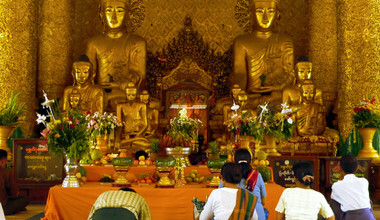 Spend time with monks and see the history of the nation through pagodas, temples, and monasteries. 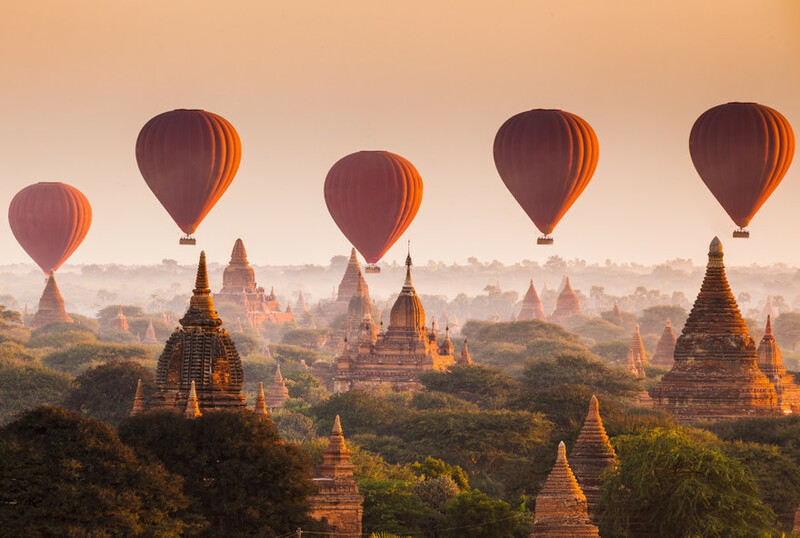 Your trip to Myanmar will be filled with adventures and sites of beauty, history, and peace. The southeast Asian nation of Myanmar was originally named ‘Burma’. This exotic nation was ruled by the British from the 1800s to the mid-1900s. After achieving independence, civil war has continued to shape the nation and was eventually named ‘Myanmar’ after a coup in 1989. Though this nation has been battered with war, the people, the scenery, and the thousands of pagodas and temples are filled with unparalleled beauty. The history of this ancient nation has remained firm and defied the wars, leaving behind a Buddhist culture and unique architecture. Asian and European design mix in the former capital of the nation, Yangon. Old colonial British buildings surprise people here and they blend with the Buddhist temples and monasteries. These astonishing buildings and places of worship are just a few of the many places visitors can go to on their Myanmar holiday. 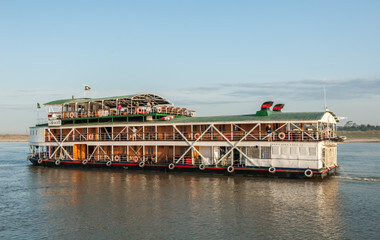 In the city, they’ll gaze at the ‘floating’ Kyaik Hmaw Won Yele Pagoda, the Shwedagon Pagoda, and the Scott Market, a 70-year-old market with Burmese handicrafts. 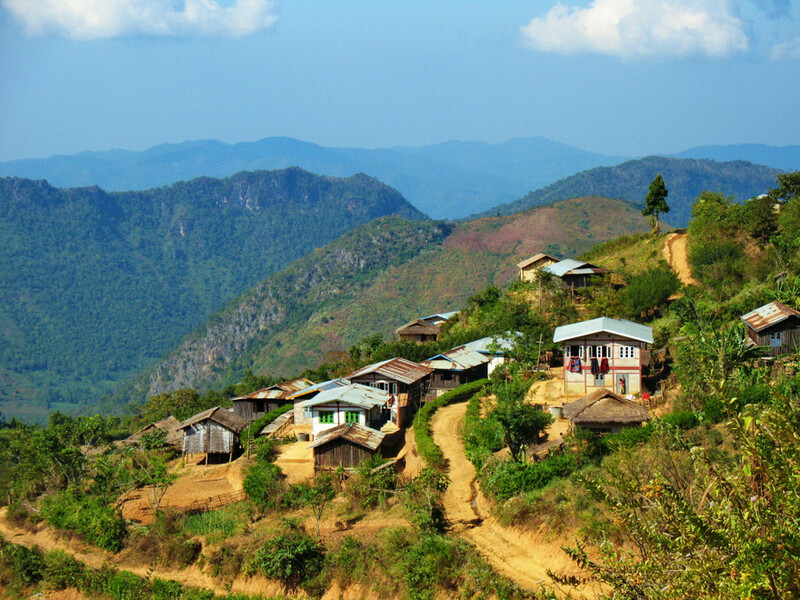 However, Myanmar’s beauty transcends beyond its architecture in the cities and melds into the rural areas. The Shan Mountains, the Irrawaddy River, and the Inle Lake are famous for their stunning scenery. Visitors can take days to trek to and near these amazing sites. The Kawthaung and Macleod islands are true paradises with their clear-water beaches where visitors can snorkel next to vibrant fish and they can hike in thick, green jungles where exotic birds whistle. It could take years to see everything in this colorful nation, but Myanmar private tours help visitors to see the most incredible highlights. Though you’ll pack in sites of islands, monasteries, and ancient ruins every day, you’ll feel relaxed and will be eager for the next stop. You will have complete control over your itinerary so you can see everything that speaks to you. 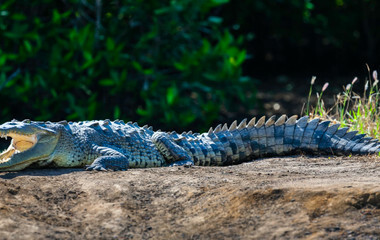 Myanmar is a vast country with something to do for everyone. Hiking in the Shan Mountains, swimming at the beaches in Kawthaung, or watching a thousand monks sit down for a meal at the Mahagandayon Monastery are all available to you through trip.me tours. There is so much to do in this beautiful nation and sometimes it can be hard to pack it all in. 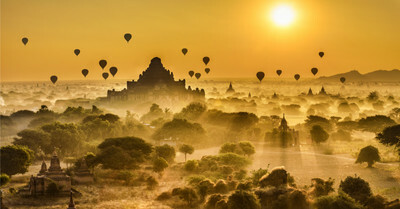 However, booking your Myanmar trip through trip.me will ensure that you see and do everything you’re looking forward to. trip.me partners with excellent indigenous destination experts who know Myanmar well and how to save you time and money. All you have to do is tailor your trip to you and enjoy it. He was very flexible accommodating my requests. Responded my inquiries promptly always. He even prepaid my balloon ride cost for me since I added this activity in the last minute. I am very happy with Moe. 3 different guides and drivers. All excellent. Guides speak English very well and had an excellent knowledge of history and country. Superior cars, not new but in a very good condition. Theo tour was excellent prepared by The Mighty Myanmar Travel and completed by our guide Pai. Always in time, caring and his Myanmar knowledge was very interesting. I wanted to thank Su and her good choice of excellent tour guides everywhere we went. 1. quick response to our request during the planning period. 2. while trying to cover the sight-seeing spots as stipulated by Su, the local guides were flexible enough to change the plans according to our request. 3. the guides spoke very fluent and good English, they are very attentative and flexible and many times worked overtime which was not required in the plan. 4. we chose comfort hotels, but all are of very good standard. 5. the only improvement I can suggest is that we found out that there were many interesting spots that were not included in our itinerary and instead there were too many buddhist stupa, pagoda and temples in the original plan. At each place, we were happy that the guide agreed to show us other more interesting scenic spots and skip some of the not so interesting temples.